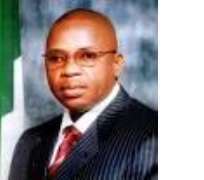 While the Imo State Governor, Chief Ikedi Ohakim is yet grandstanding and his Information Commissioner, Dr Amanze obi spewing falsehood that Imo is the safest state in Nigeria , the Government of the United States of America has effectively classified Imo state as an unsafe destination where it cannot guarantee the safety of its nationals. This was released in a security assessment of hot spots in Nigeria as contained in a recent Travel Warning issued by the United States Department of State, under the Bureau of Consular Affairs, Washington D.C. Issued on the 22nd of July, 2009 exactly 24hours after Dr. Amanze Obi literally insulted the intelligence of newsmen who sought to know the security preparations of the state in view of the visit of Mr President, by asserting that 'everybody knows that Imo is the safest state in Nigeria'. Beside the regulars - Akwa Ibom, Bayelsa, Delta, and Rivers, the U.S. Department of State included Imo, Abia and Edo state in their categorization of unsafe locations in Nigeria . Sources aver that the warning has triggered off some panic movement out of Imo by few Americans and other nationals. Most of those staying at the Concorde and All Seasons hotels were said to have vacated their hotel suites. The report partly reads, “the U.S. Mission currently requires advance permission for U.S. Government travel to these states given the safety and risk assessment…” The document made available to huhuonline.com further stressed: “The incidence of kidnappings and other armed attacks is on the rise in Imo and Abia states. American citizens who are resident in these Niger Delta and Southeastern states are advised to review their personal security in light of the information contained in this Travel Warning.” This security alert, according to the document, replaces the Travel Warning for Nigeria dated December 2, 2008, to note areas of military operations, violent activities and crime in Nigeria . This is coming on the heels of the over N2 billion spent in establishment of the security apparatuses called Operation Festival and the New Face Vigilante which are yet to register their relevance in the fight against crime in Imo State. According to government sources, over 130 Hilux trucks and buses have been bought with communication gadgets installed for swift response to criminal activities across the state. All these security bodies are paid by the government and yet there is so little to show for it. What perhaps, Governor Ohakim has failed to realize is that there is a link between poverty and crime. Needless to say, there is also a connection between maladministration and crime. While the per capita income of an average Owerri income earner has dropped, the cost of living in Owerri has drastically increased. This followed the destruction of small businesses on the excuse that they were located in shanties and the ban on commercial motorcycle operations without adequate ameliorating alternatives. This scenario has thrown thousands into joblessness with some probably turning to crime for survival. The Governors of the South East have continued to meet in their fora but their approach to the issue of security of the South Eastern enclave has largely remained carefree. Incidentally the U.S Travel Warning was issued a day after the South-east governors' security meeting held at Concord hotel Owerri, Imo state, where the governors of the region further accentuated their lackadaisical approach to the issue of security in the region by merely delegating their deputies to what should have been a top priority function. It is however worrisome that in the face of the speedily deteriorating security situation in the region, that governors of Anambra, Enugu , Abia and Ebonyi could afford to find other more engaging priorities beside the security of their domain, thus leaving the host governor to deliberate with their deputies and security agencies, obviously for formality sake.